Triptych taken in July 2013 for an exhibition that sadly never happened. Merry X-mas and O-mas, Merry Kisses and Hugs to everyone who has supported my blog, and supported me during this time of ill health. Thanks for the comments you left on my last post (as yet un answered, but greatly appreciated). I hope to be able to do some regular writing next year. I have lots of wonderful items to share with you. Seasons Greetings to all, both long-time followers, new followers and casual readers. Have fun! Father Christmas and friends. A booth pic found online, with thanks to the original owner. With best wishes, from Katherine. You look very serious in this one QT. Merry Xmas! Happy Holidays to you too! Sending you my best “get well” vibe. Hope you get back to feeling better! Thanks Moni. Hope you are well. Am absorbing your vibe and loving it! May your holidays be filled with X’s and O’s! 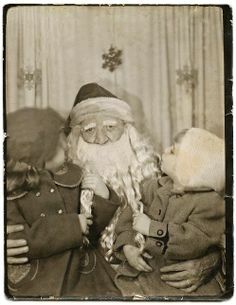 And let’s hope that Santa found a warm bed that night because he looks, well…sort of weary. A walk down the sidewalk behind the department store through the slush of the streets, and then the climb to his cold water flat on the 5th floor of an old brownstone. A can of tuna eaten beneath a single lightbulb with an on/off chain hanging down. A radio playing Sinatra singing Christmas tunes. And then snow begins to fall assuring him it’s going to be a very cold night. But he bundles in an old threadbare comforter that had belonged to his grandmother, and he watches the people in the street below as they pass beneath the street lights. And then there are the neighbors, all in their own private worlds, but with their blinds/drapes pulled open allowing others to watch their lives happen like a private viewing of a stage play. Yeah, let’s hope Santa found some solace on Dec. 25th. Good to see you again – and all the best to you, as well, katherine! brilliant! And to you too!!! What a great series/combination. Best wishes for 2015, Katherine! I do hope you are beginning to feel better these days. My very best wishes to you, Katherine! 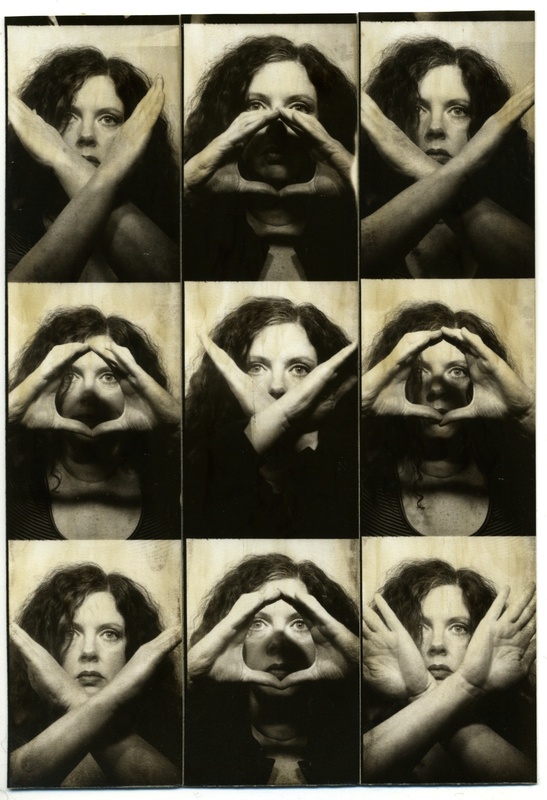 Hope this year is as wonderful and cool as your photobooth pictures! How have things been going for you? All my hopes that your health has improved!